Last month, over 18,000 architects, engineers, property owners, developers and other sustainability professionals converged in Los Angeles for the annual Greenbuild International Conference and Expo. Greenbuild always presents an opportunity for professionals from all over the world to connect and learn, with a focus on the latest in sustainable building design, construction and operation. More than 500 exhibitors shared the latest on a broad range of technologies, including porous asphalt, hydrogen vehicles, solar panels, efficient lighting and bicycle parking equipment. Sessions throughout the week touched every facet of the sustainability movement, from net zero energy to health to sustainable mobility to green cleaning. 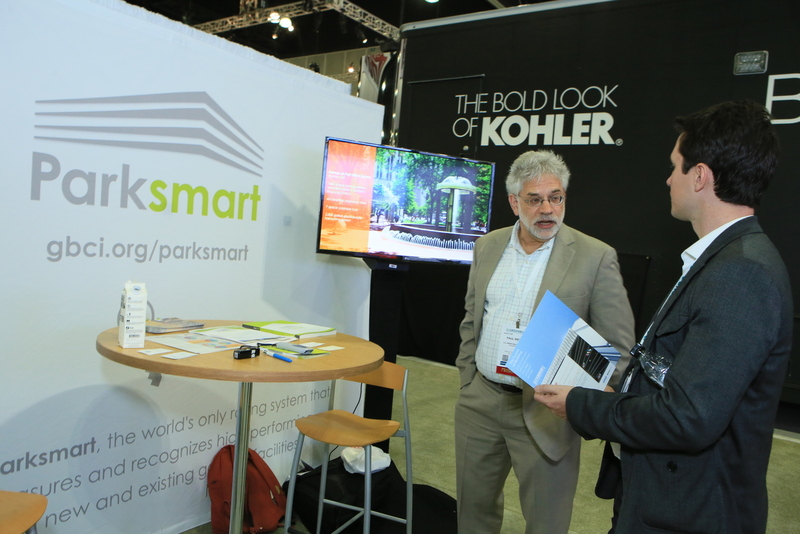 Thanks to the hard work of many throughout the industry, parking took center stage at this year’s Greenbuild. The weeklong conference kicked off with a half-day training on Parksmart. The conference also included a celebration of the 2016 Lighting Energy Efficiency in Parking (LEEP) Campaign awards, which recognize real estate owners who have achieved exceptional performance in parking facility energy reduction through high-efficiency lighting and controls. The 2016 LEEP campaign participants and award winners added nearly 65 million square feet of additional high-performance lighting in parking facilities, and achieved an estimated 60 percent in energy savings compared to existing or baseline numbers. This year’s Greenbuild was a tremendous opportunity for the parking industry to share our collective sustainability work with the greater green building movement. It has pushed us into 2017 with strong momentum that we look forward to building in the coming months.